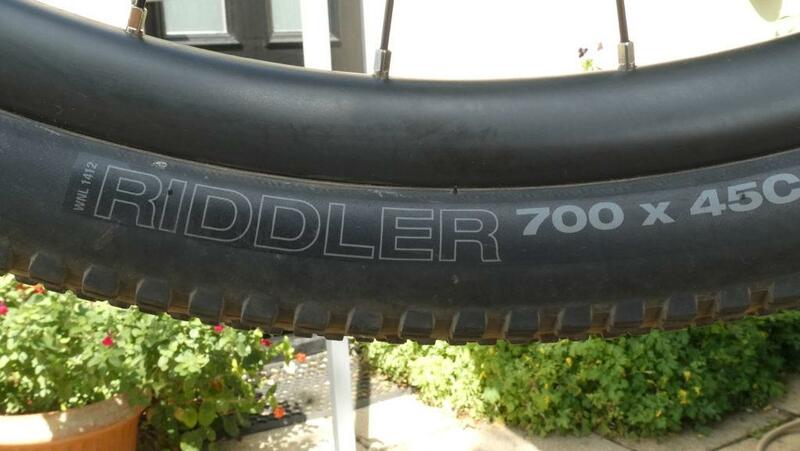 The WTB Riddler 700x45c is the gravel incarnation of the MTB tyre of the same name. 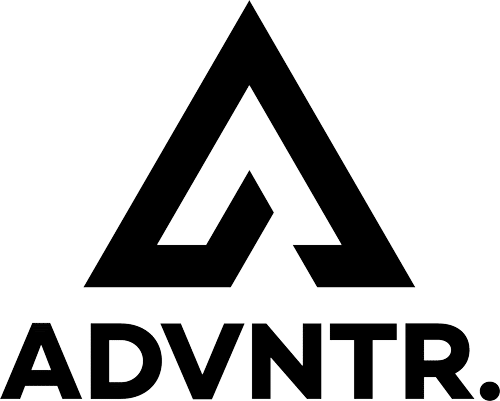 It has become very popular across the pond, so I felt it was time to give it a decent test over here. 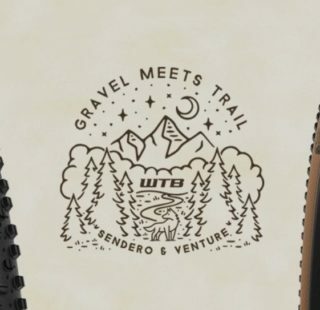 The tyre’s MTB heritage is obvious. Rows of small central knobs are matched with more aggressive ones on the shoulders. This promised fast rolling as well as grip across off camber sections and confident cornering. For the duration of the review, I used my trusty Mason Bokeh, whose predictable and neutral handling make it an ideal test platform. The tyres were mounted on our Homebrew Carbon wheels. Mating the tyre and rims was relatively easy. I needed the Pedro Downhill Tyre Lever to ease the last few inches on but I have come to expect that nowadays. Inflation was simple. 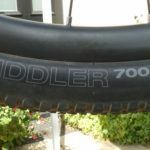 The tyres inflated using just a track pump and stayed up, without any obvious leaks. Once I added the tubeless sealant, apart from a slight loss of pressure for the first few days, they settled down nicely. Given the super dry summer, I have been unable to ride these in the wet. Off road, they have carried me across Suffolk and Cambridgeshire over a range of surfaces. Powdery dust with hidden ruts, hard pack dirt, fire roads and loose gravel. I nearly forgot to mention my usual nemesis….sand. We went there too! Gritfest in South Wales provided a change of scenery and surfaces. I was able to get a idea on how well these coped on fast, and sometimes loose descents, as well as climbing. The test period has been well over a month and several hundred miles so I think I have a handle on their performance. For the record, I am not a bike packer. I like to ride as fast as possible, for as long as my legs will allow, so I have no idea how the Riddler fares when loaded up. Let’s deal with the easy stuff first. On tarmac they are fine. The large volume chamber soaks up all the lumps and bumps that Suffolk roads can throw at them. They are not as fast as the Nano and the squarer profile contributes to a level of drag not apparent in its older cousin. When the sun beats down really hard and the tarmac gets soft, the drag factor increases significantly. Maybe a little more than on other tyres. 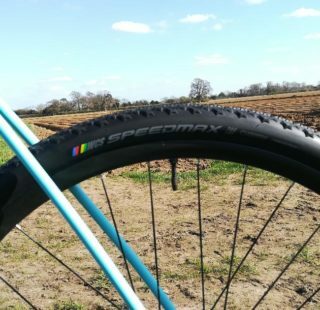 If I am riding predominantly on the road, I inflate the rear tyre to 40psi and the front to 35psi. Cornering is relatively predictable but generally only if the (front tyre) pressure is spot on. As little as 1psi down, and the tyre seems to deform and squirm. It is never in danger of coming off the rim but the steering becomes heavy and less direct. Equally, out of the saddle efforts can be a little disconcerting as the rim and tyre seem determined to go in different directions! I am fully prepared to accept there might be a weight issue involved here. I weigh a fraction under 14 stone so maybe my mass has something to do with it. 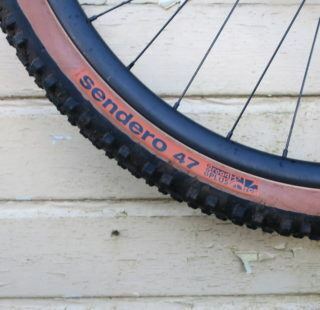 This isn’t a deal breaker but it is a feature of riding with these tyres. Off road, I have found the tyres to be pretty competent. They are not inspiring and if I was pressed to comment, I’d say they do not feel that fast either. The Strava Test however, confirms that they are no slower than any other tyres I have used so it is just my perception. Obviously, I run the tyres with reduced pressure off road. I have however, yet to find the sweet spot. Unlike the Nano which give you that ‘floating’ feeling over a wide range of pressures,the Riddler is proving more difficult to pin down. It can’t help that the ground is so hard at the moment. Trails feel similar to tarmac….with bumps, rocks and roots thrown in for variety. Dropping the pressure too far (from road settings) makes the bike feel as if I have an air brake attached. Too much pressure, and I’m thrown all over the place. I need to spend more time experimenting. Which brings me to cornering. However I set the tyres up, it feels as if I am riding on top of them. It is a strange feeling. Supple they are not! This was ‘interesting‘ at Gritfest where I lost all confidence in the tyres when descending. Off camber is a blast. There is grip to spare as the side knobs do their stuff. As a by product, this makes steering out of ruts a piece of cake too. 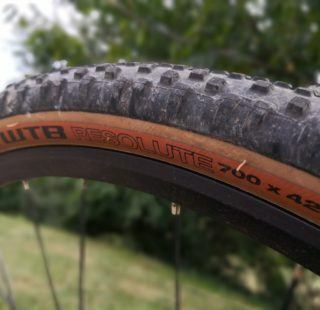 None of the tentative nudging I had to employ with the Schwalbe G-One Bites. Just shift your weight and ride up the sides. Magic! Sand. There’s a lot of it around right now in our corner of Blighty. Trails are breaking down into their component parts as the countryside becomes increasingly desiccated in the drought. Where once there were scatters of sand, now there are sand pits. Where there were sand pits now there are…..deserts! If your tyres can’t cope with sand you are in trouble. Fortunately, the wide profile of the Riddler is ideal. I has been able to ride into deep sand at full pelt without worrying. This doesn’t mean there are no heart in mouth moments, but they seldom wash out and if they do, you can wrest control back quite easily. I have had punctures though. The sidewall was perforated by a thorn (I guess that’s life!) and I have had a few on the central line of the tyre. I really didn’t expect these tyres to be quite so vulnerable on this, the main contact patch. I am sure the perfect tyre doesn’t exist. 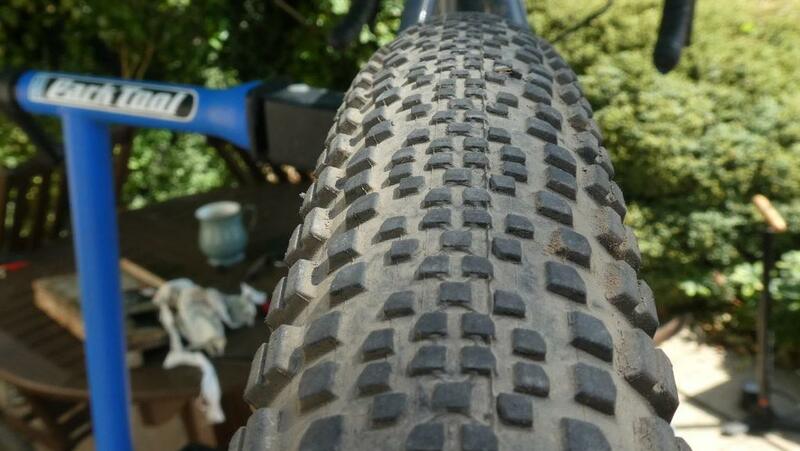 My quest to find the ideal gravel tyre is an ongoing one – such is the nature of quests! The Riddler is close. None of the shortcomings detailed above are deal breakers, it is a decent tyre. It just isn’t necessarily the best for me. 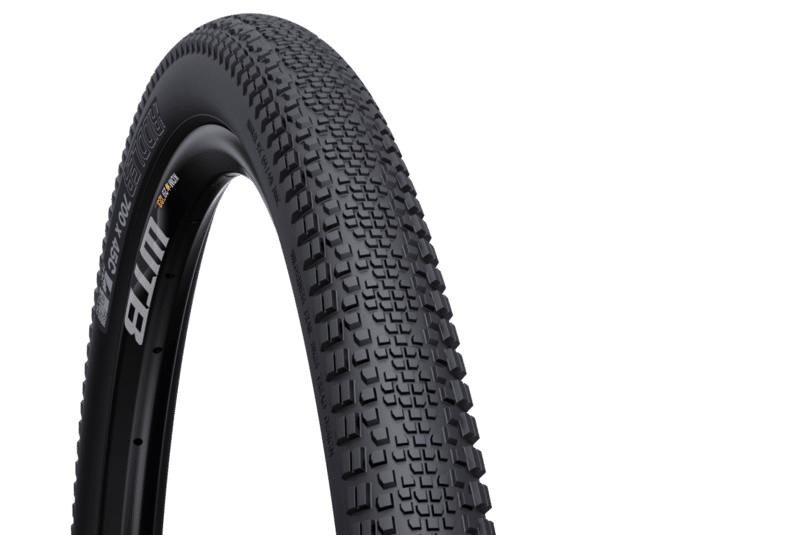 If it were a little more supple, rolled a little faster and was slightly more puncture resistant then we could be on to something.